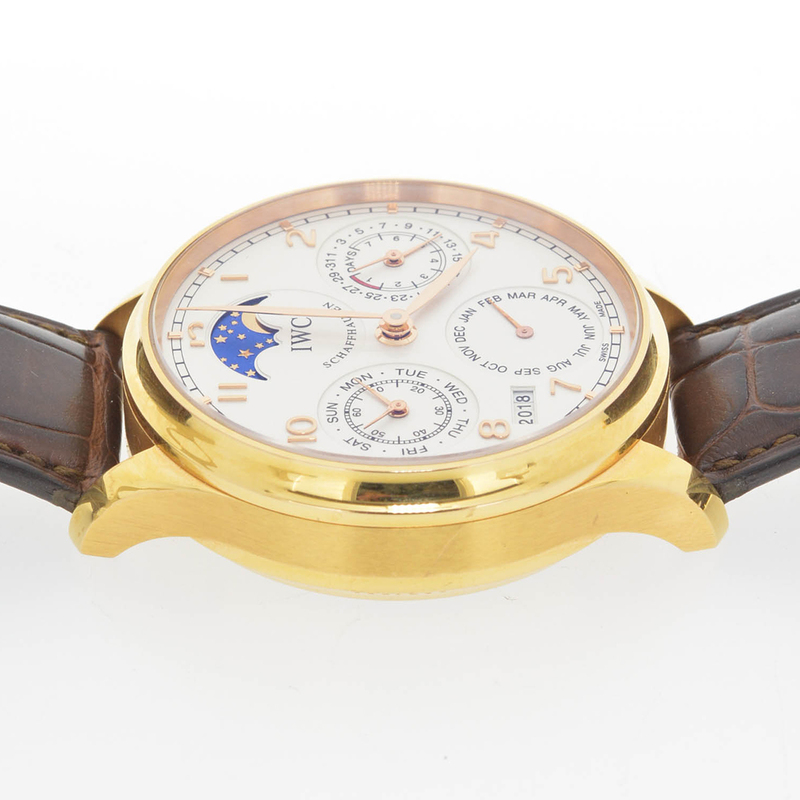 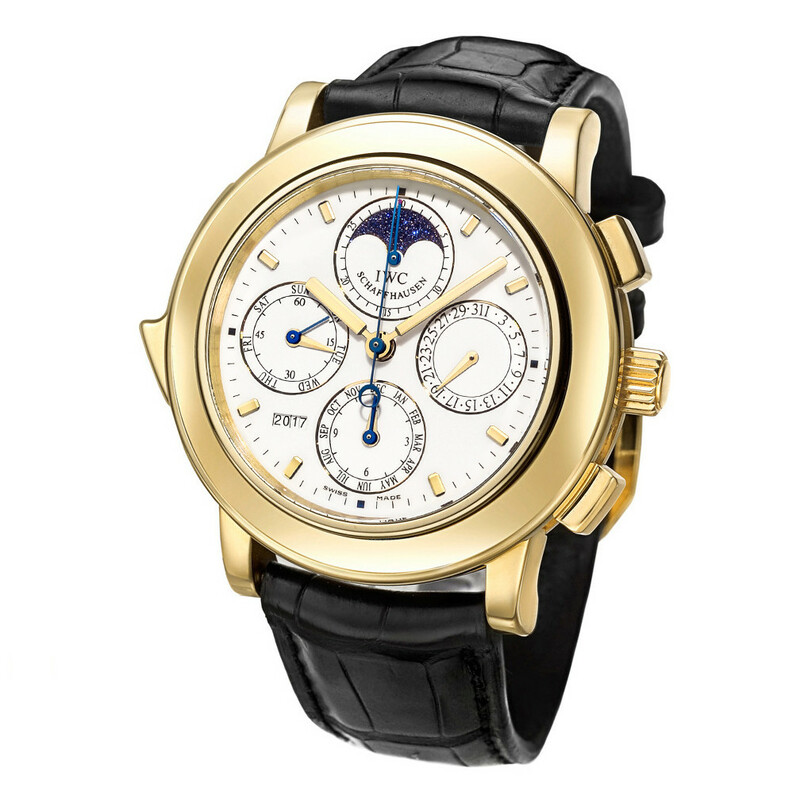 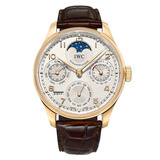 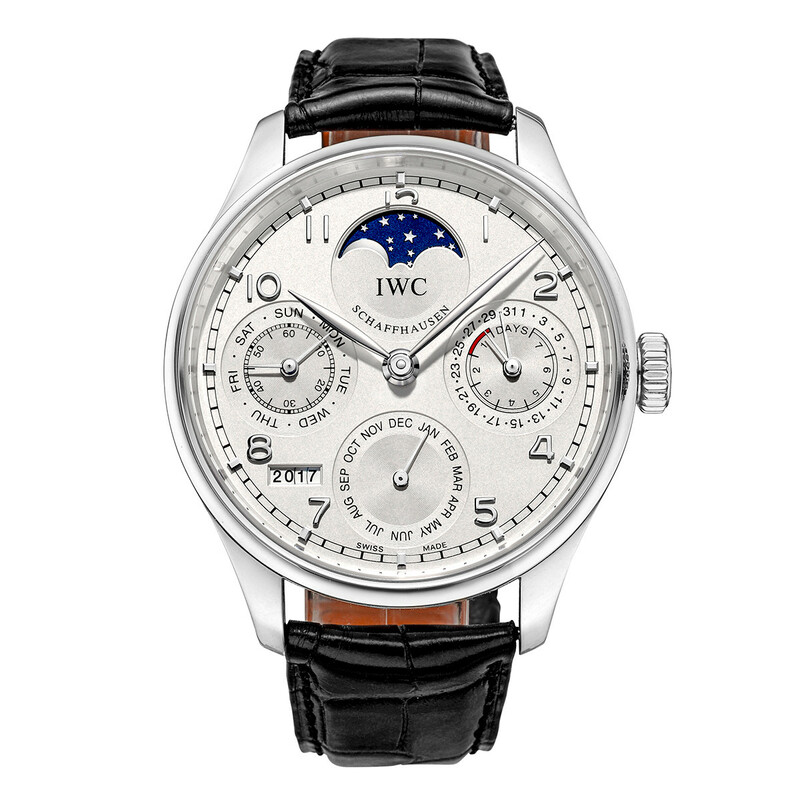 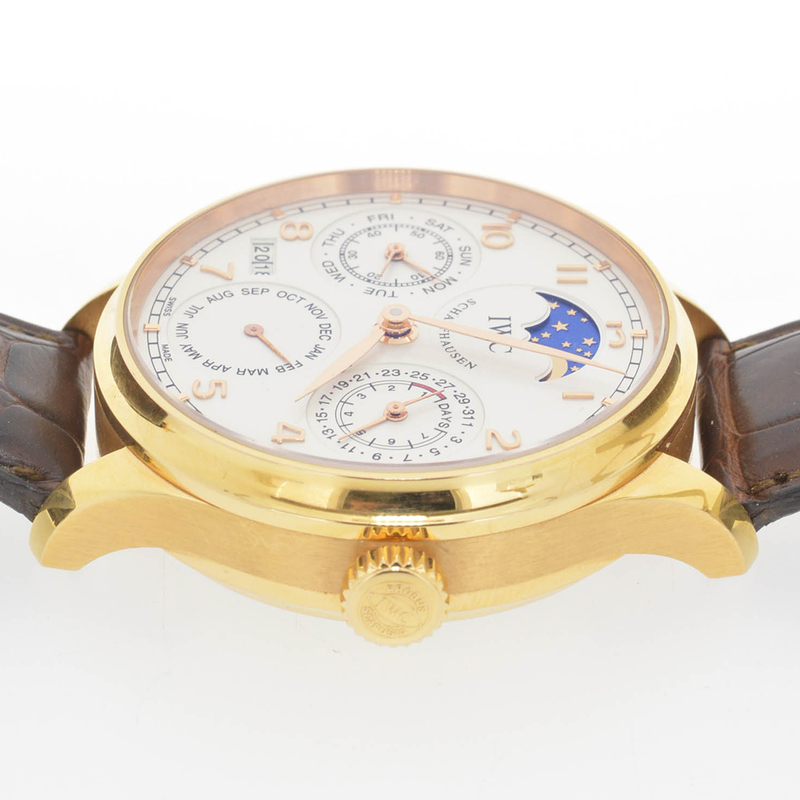 Pre-owned IWC Portuguese Perpetual Calendar (ref. 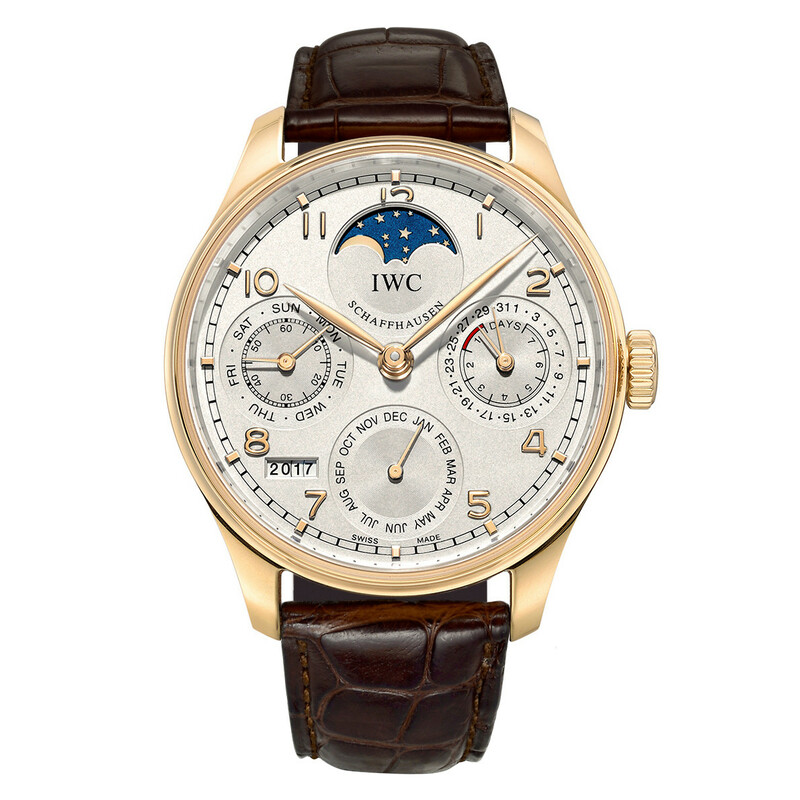 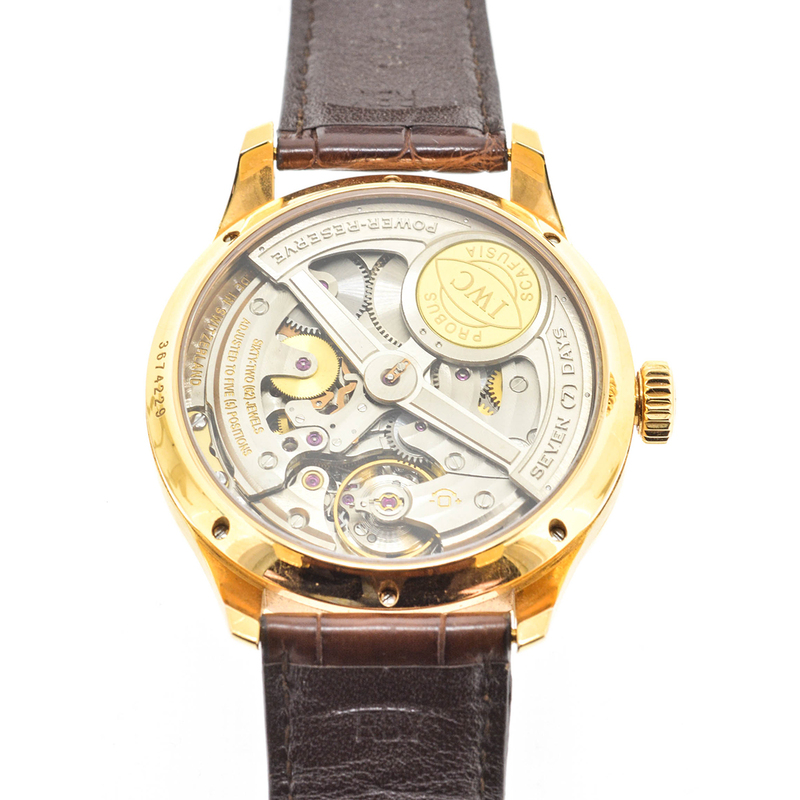 IW502302) features the IWC-manufactured 51613 caliber mechanical automatic movement with an approximate 7-day power reserve when fully wound; silver-plated dial with applied rose gold toned Arabic numeral hour markers; perpetual calendar with date/power reserve subdial at 3 o'clock, month subdial at 6 o'clock, four digit year display between 7 & 8 o'clock, and day-of-the-week/continuous seconds subdial at 9 o'clock; moon phase display at 12 o'clock; sapphire-crystal, exhibition case back; and 44.2mm, 18k rose gold case on a dark brown alligator strap secured by the IWC 18k rose gold folding clasp. 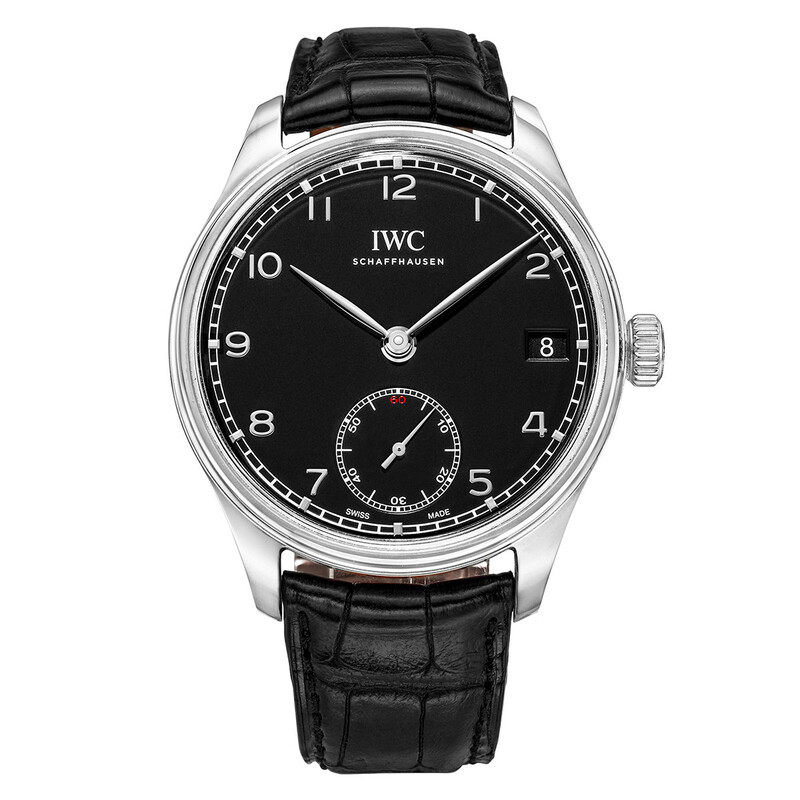 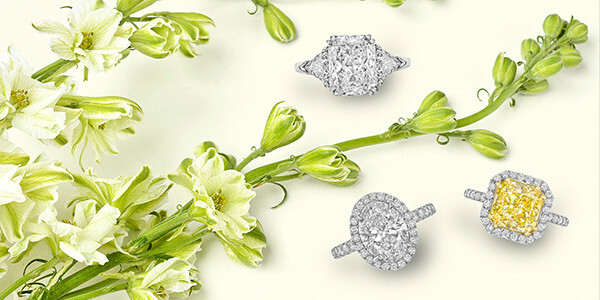 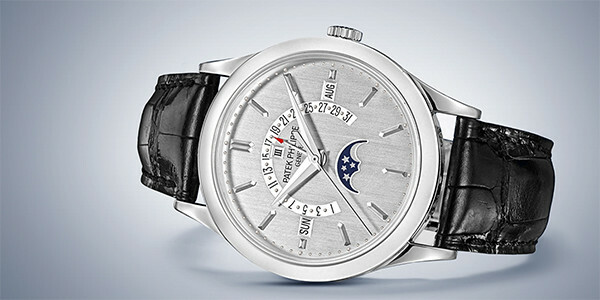 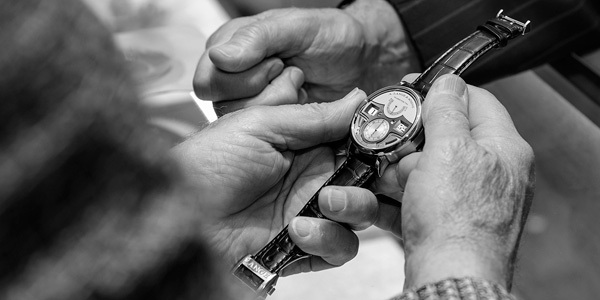 Guaranteed authentic- with the case, dial and movement signed IWC. 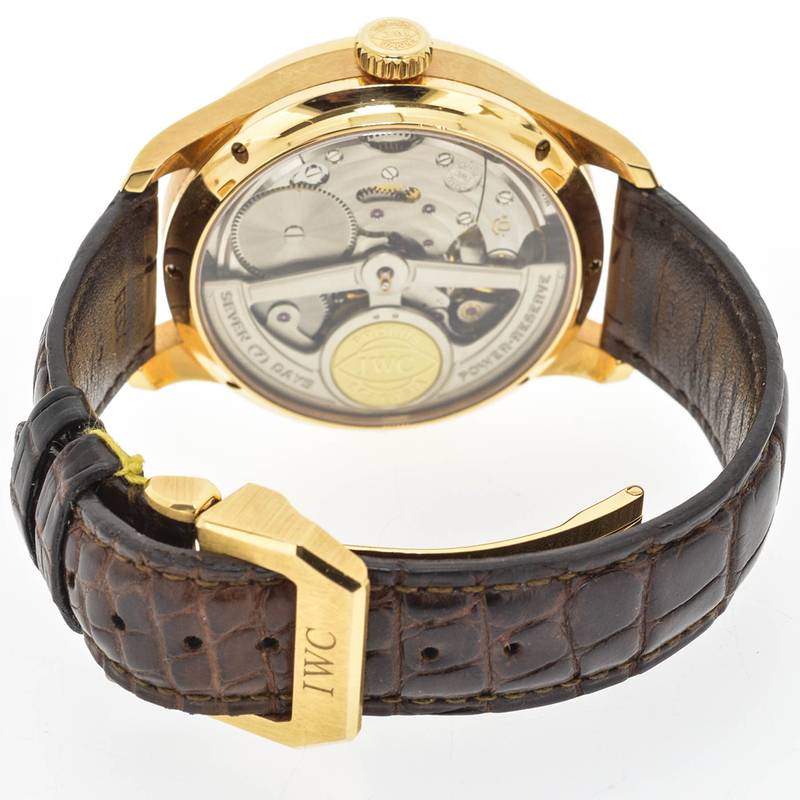 Accompanied by the original IWC watch box and papers, dated July, 2011.